You guys, I found the it. 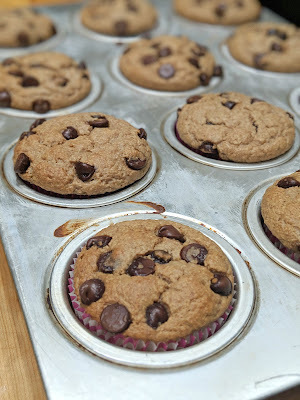 The EASY simple muffin recipe that hits the spot. Full disclosure, I am recovering carb addict. In my early years I was a self proclaimed vegetarian that didn't eat vegetables. AKA I was a processed food addict. I have NO doubts the years and years of shoveling all things bread into my mouth contributed to my cancer. ( 5 years cancer free now!). Now that I am healthy and look at food as fuel. 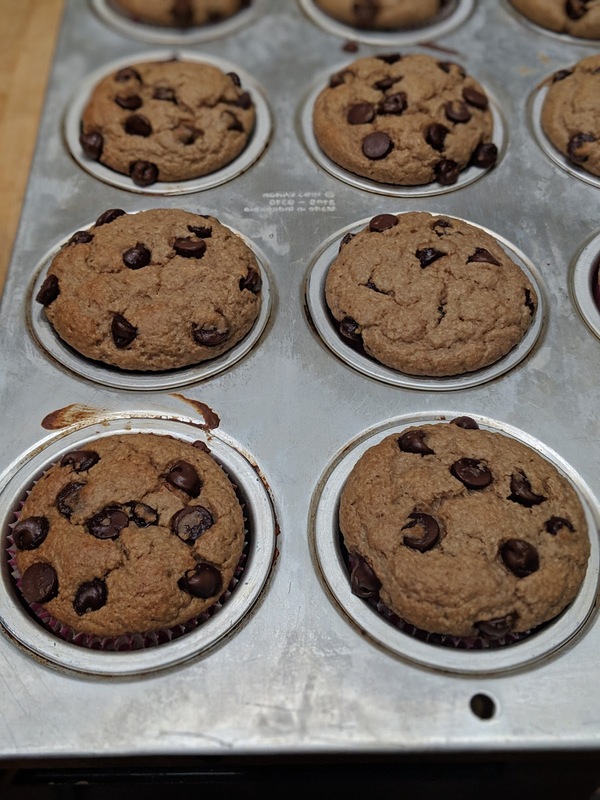 I just LEARNED how to make them HEALTHY and just as scrumptious. Please don't get it twisted ... this equates to hours and hours of countless failed recipes that I would not pass on to you. So if I share it, it means its THAT good. This is one of those times. They are so damn easy. Put it all in a blender, blend. Pour. BOOM! PLUS these are naturally gluten free, naturally refined sugar free, FULL of protein and FUEL for your body. 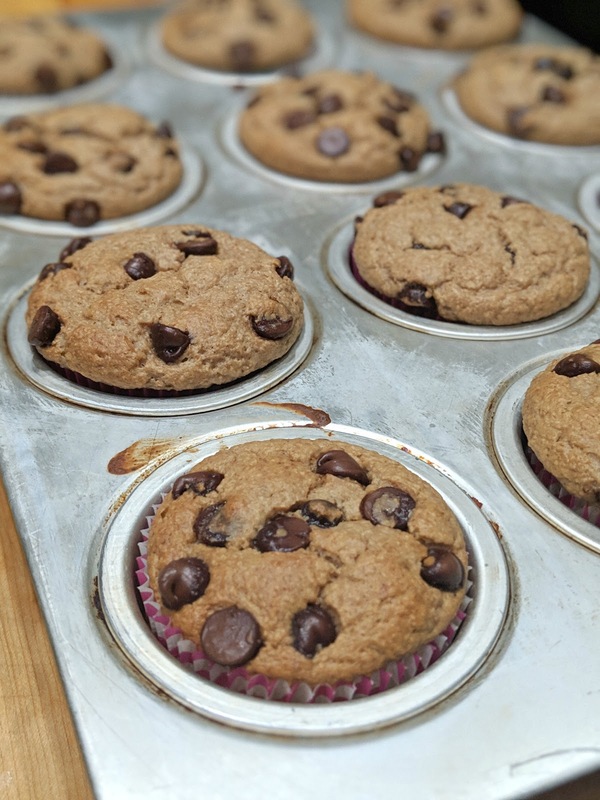 Popping one of these muffins in the morning will set you up for success!!! and if you are on my nutrition program it breaks down to 1 YELLOW , 1/2 RED, 1/2 PURPLE. If you are NOT on my nutrition program... it is time to get on it! Send me an email and I will send ya over info! Place yogurt, honey, bananas, eggs, extract, oats, baking powder, baking soda, salt, and walnuts in Blender. Cover and blend until smooth, scraping once or twice, as needed. 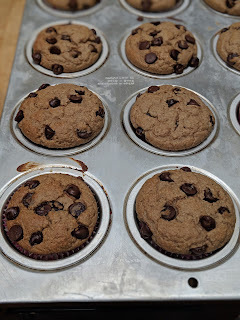 Sprinkle 1 Tbsp Chocolate chips on each muffin cup. Bake 22 to 25 minutes, or until tester inserted into the center comes out clean.